New Delhi, 28 October, 2017: The Founding Vice Chancellor of O.P. Jindal Global University (JGU), Professor (Dr.) C. Raj Kumar, was invited to speak at the Harvard Law School’s World Bicentennial Summit on October 26-27, 2017 at Harvard University. Professor Kumar, a Rhodes Scholar is an alumnus of Harvard Law School and was the only lawyer and legal scholar from India to be invited to speak on this special occasion, which marks 200 years of outstanding contribution of the Harvard Law School. 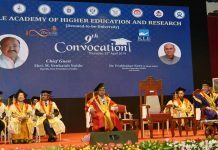 It is notable that JGU was the only Indian university and Jindal Global Law School (JGLS) the only Indian law school at the event which witnessed participation of over 250 speakers from around the world. Professor Kumar shared his insights and perspectives in a session themed “Educating Global Lawyers” which discussed the challenges of adapting legal education curricula to the rapidly changing needs of employers, workplaces and society as they moved further into the 21st century. 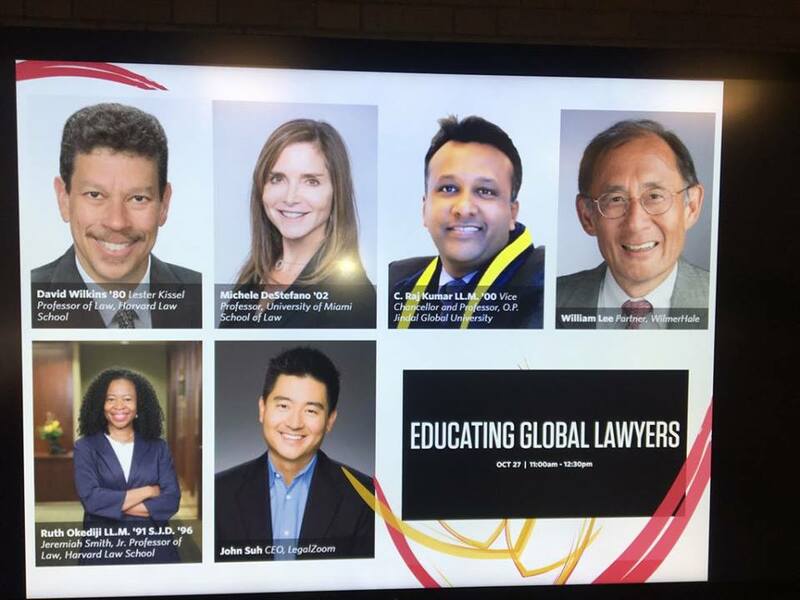 Taking the Jindal Global Law School as a Case study, Professor Kumar articulated the vision for global legal education and how developing countries in Asia and Africa need to play a leadership role in the establishment of standards and participation in providing high quality legal services. He said, “But unlike the law schools in the developed world, legal education in Asia and Africa will have a strong dimension of social engineering and seeking the role of law as an instrument of social change. It will need to address issues of systemic and institutionalised forms of injustices perpetrated due to corruption, discrimination and authoritarianism. Legal education and the legal profession is called upon to make democracies function effectively on the basis of the rule of law and good governance so that the constitutional goals do not remain as unachievable rhetoric but become a reality through ensuring greater degree of transparency and accountability. This is a particularly significant role that law ought to play in countries in Asia and Africa such as India. The bicentennial began with an inspiring inaugural session which was addressed by six judges of the US Supreme Court – all of whom were alumni of Harvard Law School – Chief Justice John G. Roberts, Justice Anthony M. Kennedy, Justice Stephen G. Breyer, Justice Elena Kagan, Justice Neil M. Gorsuch and Justice David H. Souter. Discussions at the ‘HLS in the World’ event featured sessions on critical debates in law and other disciplines, including Criminal Justice Reform and Advocacy through Storytelling, Critical Legal Movements and Harvard Law School, International Human Rights Law, International Criminal Law from Nuremberg to the ICC and Beyond, Tech, Law, and Law Teaching, The Future of Private Equity, LGBT Law, and Artificial Intelligence and the Practice of Law. 4. Creating international programmes for law students with a view to contributing towards educational advancement, professional training and capacity building for the next general of global lawyers for whom geography may become history, but for whom, law reforms will always be driven by social context. 5. Empowering law students to pursue a diversified set of legal careers and careers beyond the law that will enable them to apply their knowledge, skills, perspectives and values to shape the future of the legal profession, judiciary, businesses, governments and societies in India and around the world.